EMSEAL JOINT SYSTEMS and Transurban were named winners of the 2014 ARTBA TransOvation™ Awards Program. The awards recognize innovative products, services and technologies that provide a high return-on-investment by improving transportation safety, saving taxpayers time and money, or by making our transportation infrastructure more environmentally sustainable. EMSEAL JOINT SYSTEMS won for their Bridge Expansion Joint System (BEJS), a traffic durable bridge and road expansion joint which fills expansion gaps and provides a water tight seal for vulnerable sections of a bridge. The innovative product functions well in thermal shock conditions on new structures as well as on decks. It is recommended for concrete–to-concrete substrates, rebuilt joint faces, or where demolition and removal of existing embedded metal angles is not feasible or affordable. 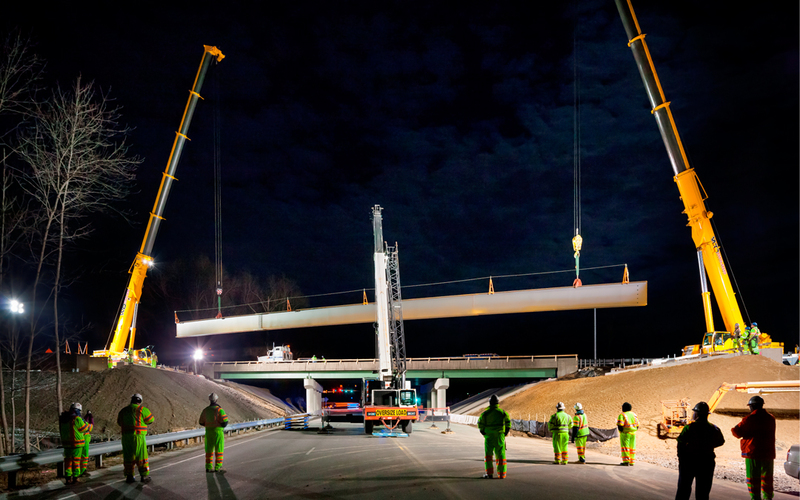 Transurban was recognized for their work on the recently-opened 495 Express Lanes in northern Virginia, which has reduced congestion along one of the busiest roadways in America. The nearly $2 billion, 14-mile long Express Lanes keep traffic flowing through the use of an all-electronic, dynamic tolling system that adjusts prices based on real-time traffic conditions and features a series of electronic signs that communicate with drivers. The system also detects accidents and assists in the enforcement of High Occupancy Vehicle requirements. The awards were presented November 17 at the 4th Annual “Dr. J. Don Brock TransOvation™ Workshop” at Microsoft Headquarters in Washington State.